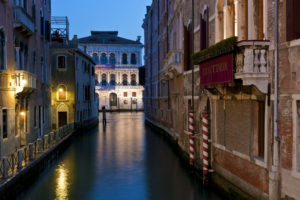 Discover the magic of Venice at night in a small group - 6 people max. A nighttime Venice Walking Tour with VIP Access to St Mark’s introduces you to a truly magical side of this dazzling city on water. Meet your local expert guide in a charming central piazza and begin your journey through its winding back streets, discovering its unique history all while soaking up its enchanting atmosphere as the day closes. 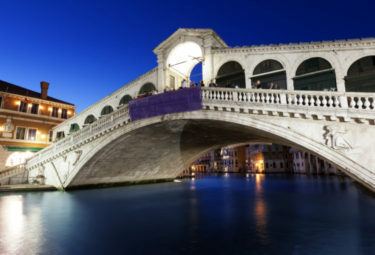 Visit some of its special highlights without the daytime crowds, like the famous Rialto Bridge and St. Mark’s Square, giving you the chance to experience them in a completely different way. 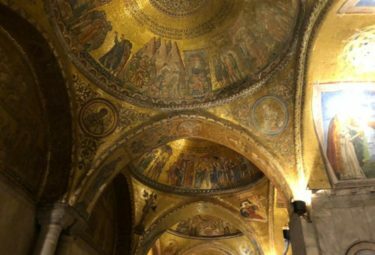 Enjoy a very special visit into St. Mark’s Basilica at night, exclusive to LivItaly, marveling at its golden mosaics, getting up close to its golden altarpiece and exploring its crypt that lies beneath. Experience a unique side of Venice, filled with magic and mystery! 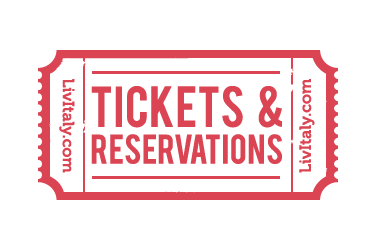 WHY BOOK A LIVITALY SMALL GROUP VENICE NIGHT WALKING TOUR? 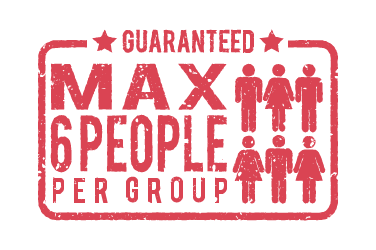 Small groups are only 6 people or less per group, giving you a more intimate experience and more time with your expert LivItaly guide. 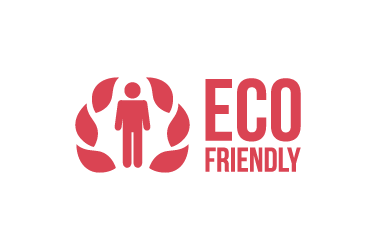 With a local showing you around the city, you are able to navigate its streets with ease like a local. This night tour also includes an exclusive visit to St Mark’s Basilica, opened up especially for LivItaly tour groups, giving you the opportunity to experience the basilica’s interior with very few other people, giving you the church almost all to yourself. Your journey through Venice by night starts in a charming little square that boasts the oldest church in the city, which you will notice straight away with its huge 15th century Roman numeral clock. 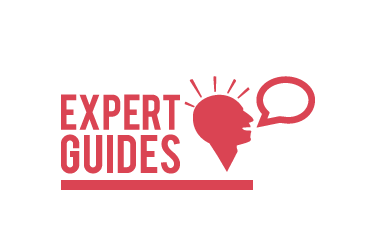 Meet your local expert guide and start learning all about Venice’s interesting history, once a place of refuge for those fearing barbarians, to the beautiful dazzling city it is today. As glorious as Venice is during the day, at night is when you truly discover its magic and mystery, as you notice details that are easy to miss during the busyness of the day. In the peacefulness of the evening, explore a few of Venice’s special highlights including the Rialto Bridge, enjoying its enchanting views over the canal without the daytime crowds, as gondolas glide by with their lanterns slowly coming on as darkness falls. 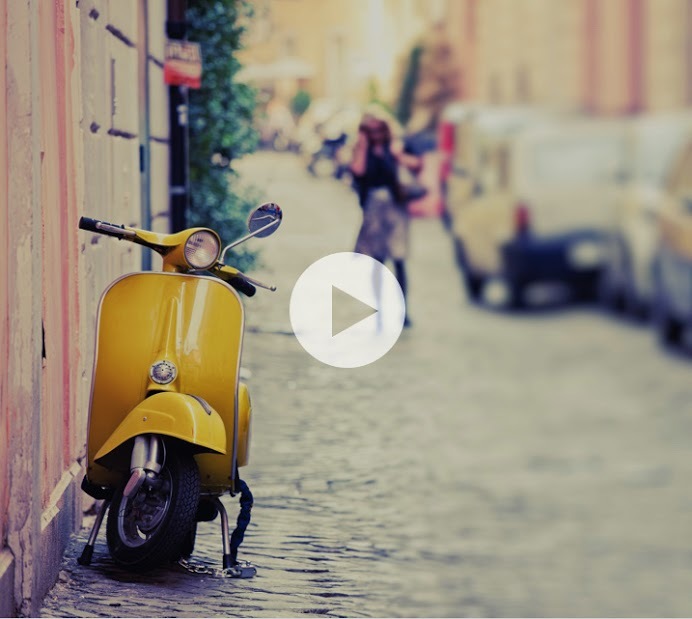 With your local guide alongside, weave through the city’s winding back streets, in and out of hidden piazzas and over little bridges connecting its many little islands. After visiting a few highlights, arrive in the city’s principal square, Piazza San Marco, a real pleasure at night without the masses of eager daytime visitors. Marvel at the many treasures of this sophisticated piazza, including the Doge’s Palace, Bell Town and St. Mark’s Basilica, to name a few. As you stand outside the grand St Mark’s Basilica, one of the finest examples of Byzantine architecture in the world, enjoy an introduction to the piazza and its church, as you look up at its spectacular facade with its great arches, colorful marble columns, and detailed golden mosaics depicting the life of St. Mark, the patron saint of Venice. With so much to take in on the outside, you will think that it couldn’t possibly get any better on the inside, but it does! Begin your exclusive night visit inside St. Mark’s Basilica, entering through a special entrance opened specially for LivItaly groups. Make your way inside and up to the loggia, enjoying glorious views outside onto the piazza, looking up at the four giant bronze horse replicas up high on its outside facade, and then see the original gilded horses inside. Prepare to be immersed in art, with intricately patterned marble floors below you and spectacular golden mosaics depicting bible scenes above and all around you. Sit in the church pews in the dark as the lights are turned on, one by one, revealing the glorious golden artworks above you, section by section, like a magnificent fireworks display! 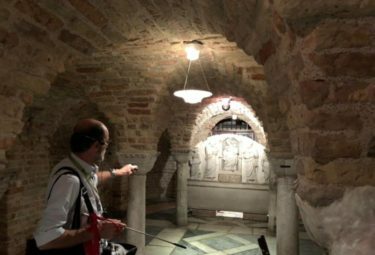 Visit the church’s special areas, some normally inaccessible or at an additional cost, getting up close to the astonishingly ornate Pala d’Oro golden altarpiece, and then venturing down below to the ancient Crypt, never open during the day. The Pala d’Oro, meaning ‘Golden Cloth” in Italian, is an unbelievably ornate golden altarpiece that stands behind the high altar inside St. Mark’s Basilica. It is thought to have been first commissioned in 976 by Doge Pietro Orseolo and expanded in later years by Doges that followed. Completed in the 2nd century, it now stands 3 meters tall and 2 meters wide, with both the front and rear decorated and boasting about 250 different sized enamels! 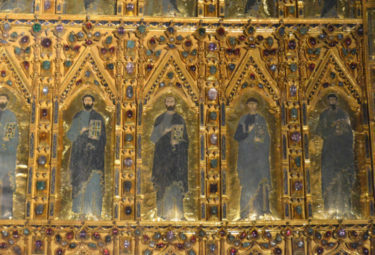 The detail of this altarpiece is quite spectacular, with Christ in the center surrounded by apostles and the four evangelists, Matthew, Mark, Luke and John, and an incredible enamel archangel Michael above it. As you get up close and stand in awe at its 187 enamel plaques and 1,927 gems that include pearls, garnets, emeralds, sapphires, amethysts, agates, rubies, topazes, carnelians and jaspers, you will quickly realize why it is considered to be the world’s finest example of large-size Gothic goldsmith’s art! After an hour exploring the golden interior of St. Mark’s Basilica in the stillness of the night, your tour ends outside in Piazza San Marco. 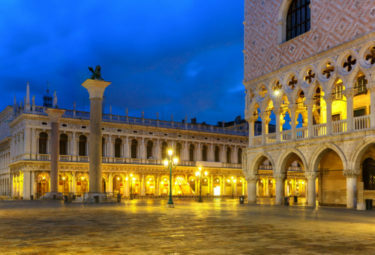 This is a wonderful place to end your nighttime tour, as you soak in this huge and sophisticated Venetian square under the moonlight, without the crowds it attracts during the day. You will have experienced another side of this enchanting city, and we encourage you to continue your evening with a local Venetian dinner! Explore Venice's highlights at night with our expert guide by your side! Walk through the most famous square in Venice, St Marks Square. Our guide will take you through the quaint streets to the famous Rialto Bridge. 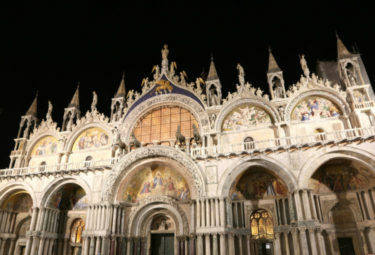 After learning about the city, our guide will take you to see St Marks Basilica at night. 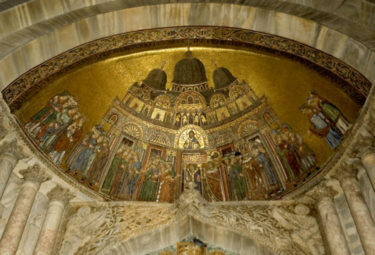 Enjoy exclusive access inside the Basilica where you'll get to see the beautiful mosaics. Get the opportunity to see the beautiful Pala d’Oro without any busy crowds around you. 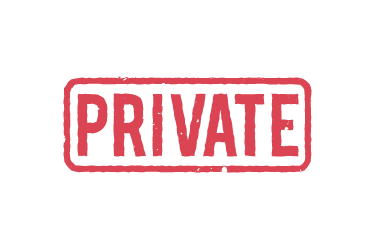 Our guide will take you down to the crypts where you'll hear about what they were used for!